A vertebral subluxation refers to spinal vertebrae that are not moving properly, which interferes with the communication between the spine and the brain. As a result, the brain is not accurately sensing what is going on in your spine and body. A chiropractic adjustment corrects the subluxation, which allows your brain to accurately perceive what is going on so it can control your body better. A subluxation occurs when an external, invasive force overcomes the internal resistive force of the body. 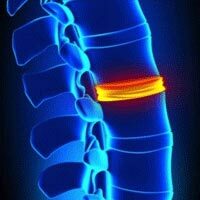 The body has a tremendous ability to withstand the forces that subluxate the spine, but it does have limitations. It can handle stepping off a curb, whereas falling off the deck will probably subluxate it. There are forces we are subjected to every day, forces that our body is perfectly capable of handling. Every step when we walk jolts the spine, but the body can easily absorb that force. Sitting down, putting our head on the pillow at night, and bending over to tie our shoes, for example, all subject our spine to a force which is easily adapted to by the body under normal circumstances. The brain sends signals to certain muscles to contract during these activities to stabilise the vertebrae, thereby preventing subluxations from occurring. The key to reducing the chances of a subluxation from occurring is very simple. It is just doing those things necessary to lead a healthy life, because the healthier you are, the greater your body’s internal resistive force, and the less the spine will tend to subluxate. Receiving regular spinal adjustments plays a major role in increasing the body’s internal resistive force because these regular adjustments correct existing subluxations. Existing subluxations leave you vulnerable to further subluxations because your brain is not accurately sensing what is going on in your spine. However, even with our best efforts to prevent subluxations from occurring by maximising our body’s internal resistive force, it is impossible to eliminate all of the physical, emotional and chemical stressors that we subject our spines to on a daily basis. That is why it is necessary to have your spine checked regularly by a chiropractor. If we are to live a full life, we will inevitably subject our spines to potentially subluxating stressors and we will need to be adjusted. In short, regular chiropractic adjustments correct subluxations that are an inevitable result of living life, and also help to reduce the chances of future subluxations from occurring.